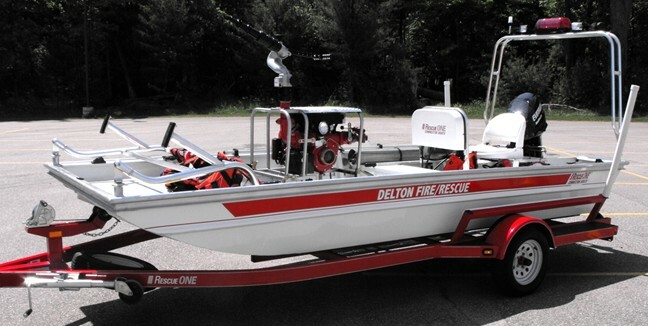 Engine One – 2014 Custom Fire on a Spartan chassis. 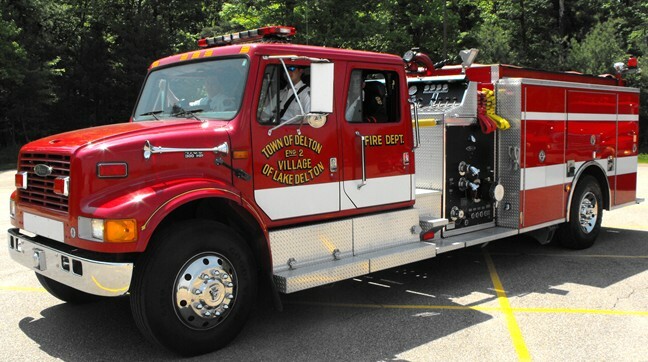 This fire engine is equipped with a 2,000 gallons per minute pump, operated from an enclosed top mount engineer panel, 1,000 gallons of onboard water, foam tank, light tower, generator. 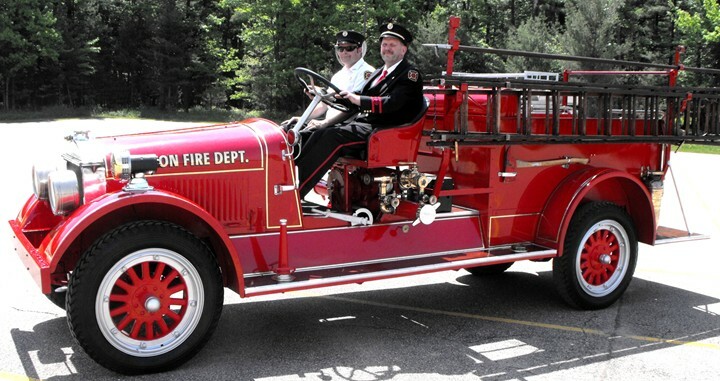 This engine is first due on all fires and alarm calls, and second due for traffic incidents. 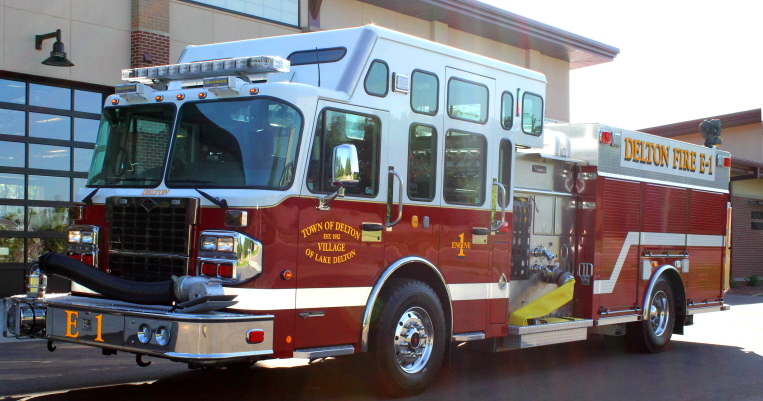 Engine Two – 1999 Pierce pumper. 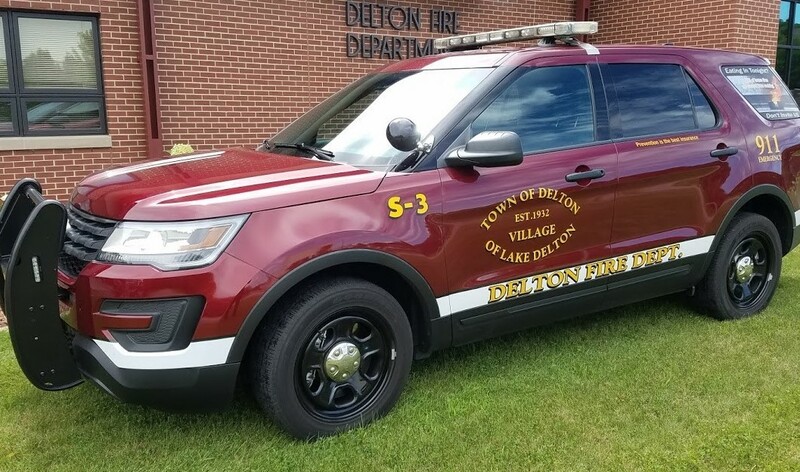 This fire engine is equipped with a 1,250 gallons per minute pump, operated from top mount pump panel and has 1,000 gallons of onboard water. This engine is a reserve engine which responds to all mutual aid/MABAScalls and structure fires. Tanker 6 – 2000 Munroe water tanker is equipped with a 550 gallon per minute pump and carries 3,500 gallons of water. 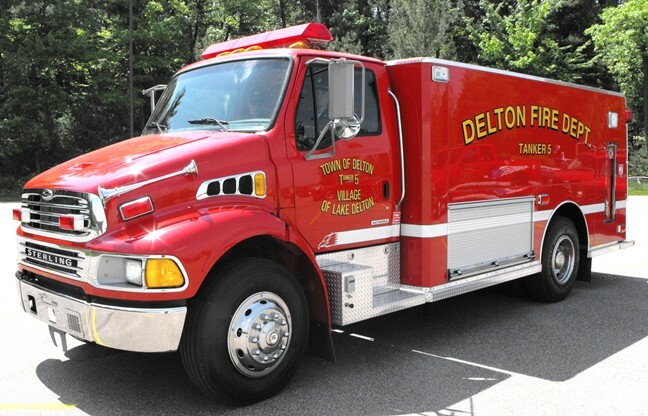 This truck responds to all rural structure fires and second out water tender to vehicle fires as needed. Tanker 5 – 2004 Custom Fire on a Sterling chassis. 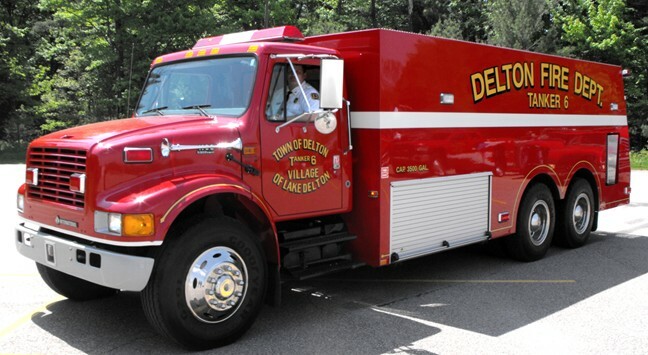 This water tender is equipped with a 350 gallon per minute pump and carries 2,000 gallons of water. 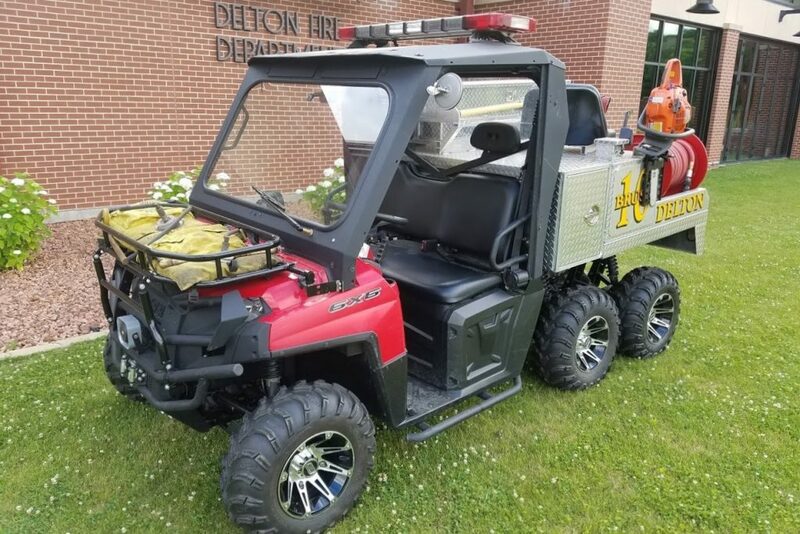 This truck responds to all rural structure fires and is used on mutual aid/MABAS calls. 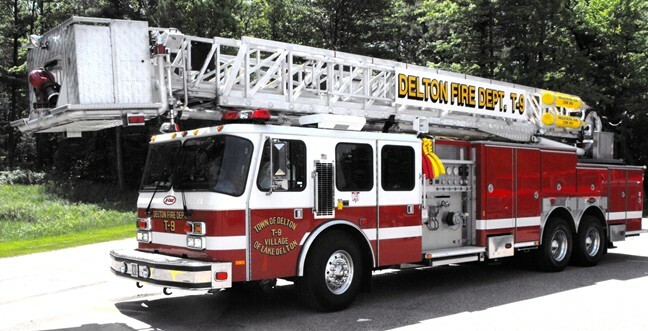 Tower 9 – 2001 E-one 95′ aerial platform. This ladder truck is equipped with a 2,000 gallons per minute pump and has 500 gallons of onboard water. This truck is second due on all commercial structure fires. 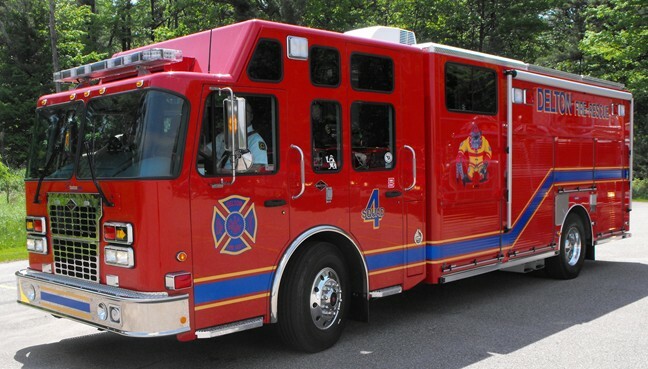 Squad 4 – 2010 Custom Fire on a Spartan chassis. 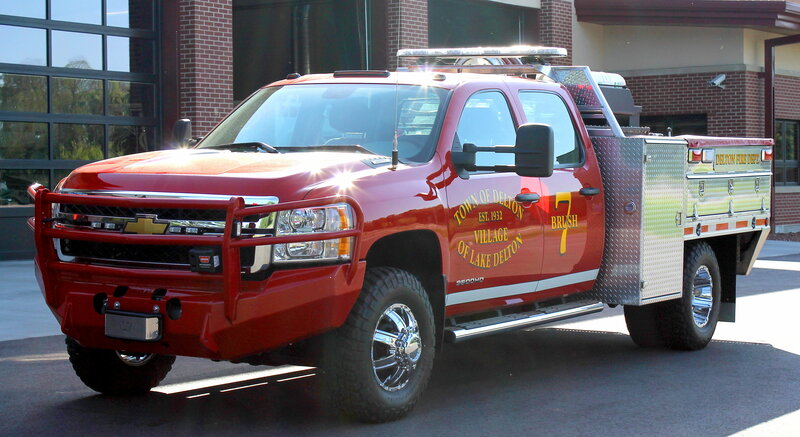 This rescue truck is equipped with Hurst hydraulic extraction tools “jaws of life”, a light tower, generator, command desk, traffic direction arrow board, and breathing air cascade system. This truck is first due on all traffic crashes. Brush 7 – 2012 Chevrolet one ton pick-up equipped with a custom bed that carries 250 gallons of water, foam, and hand tools for wild land fires. 2007 18′ flat bottom boat with 40 horse E-tec outboard motor. 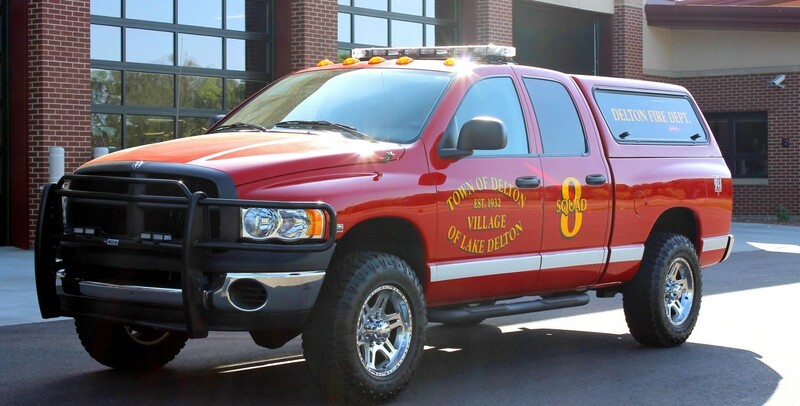 Squad 8 – 2003 Dodge 3/4 pick-up.